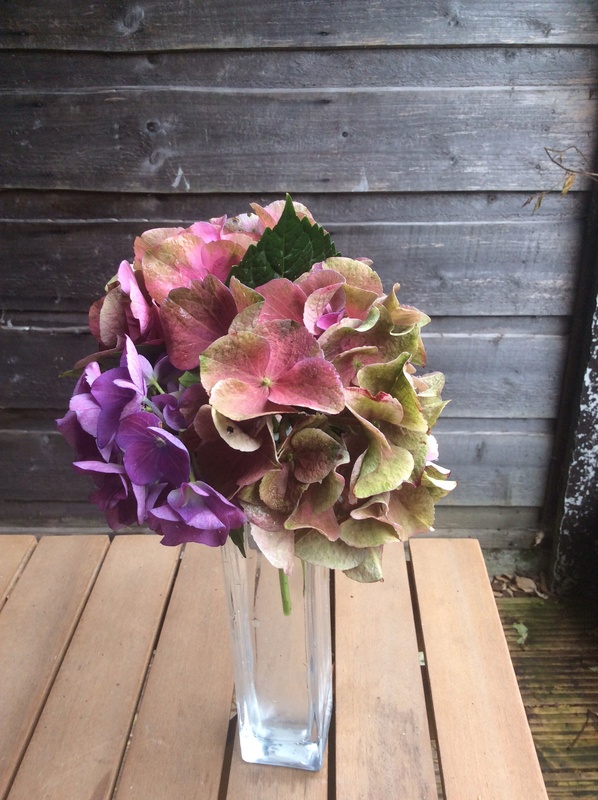 This week I’ve been thinking about how things don’t turn out quite the way you expect; this is one of the reasons I decided to pick these hydrangeas in today’s ‘In a vase on Monday’. 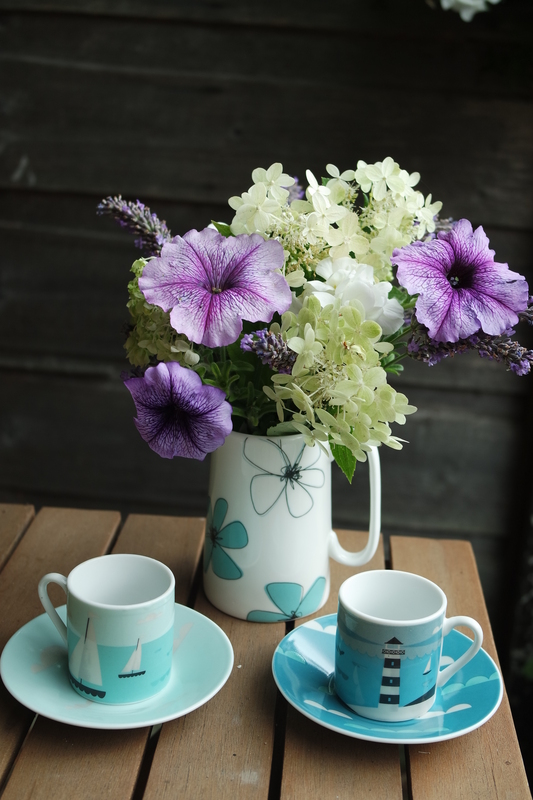 The hydrangea macrophyia‘s name is ‘Blue Mophead’. I’ve used this bud vase in my first ever ‘In a vase on Monday’ with tête a tête daffodils back in March. 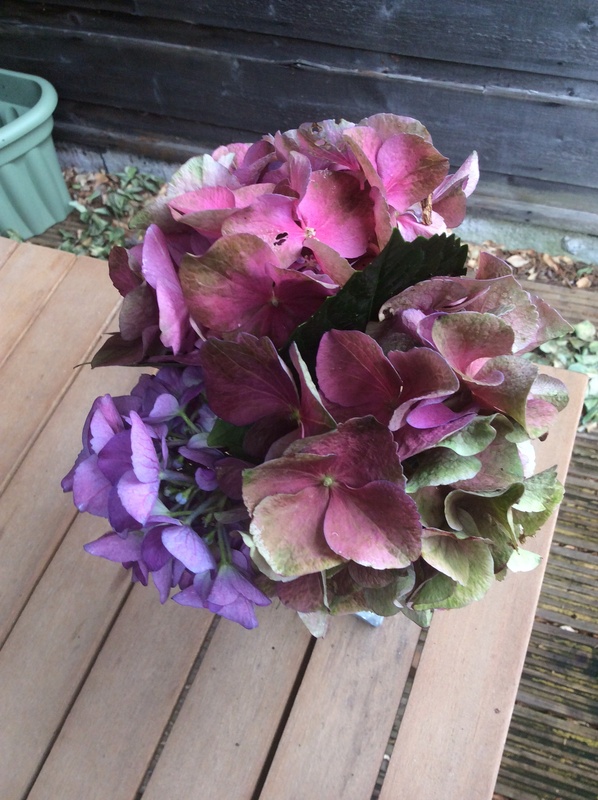 I just wrapped garden wire around the three hydrangea stems so they would stay together and not fall out the vase. 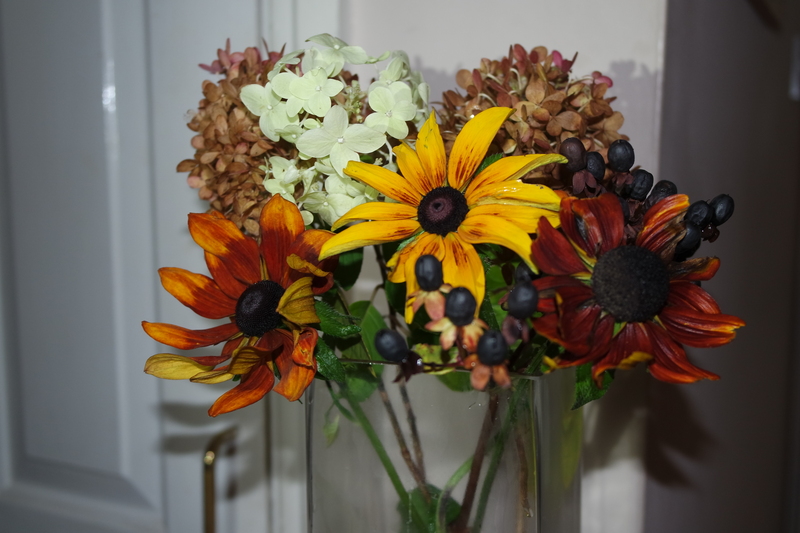 I think I might wrap a thin cream or dark pink ribbon around the neck of the vase if I pick these flowers again. I think the flowers are beautiful especially as there are so many shades of pink into washed out green. 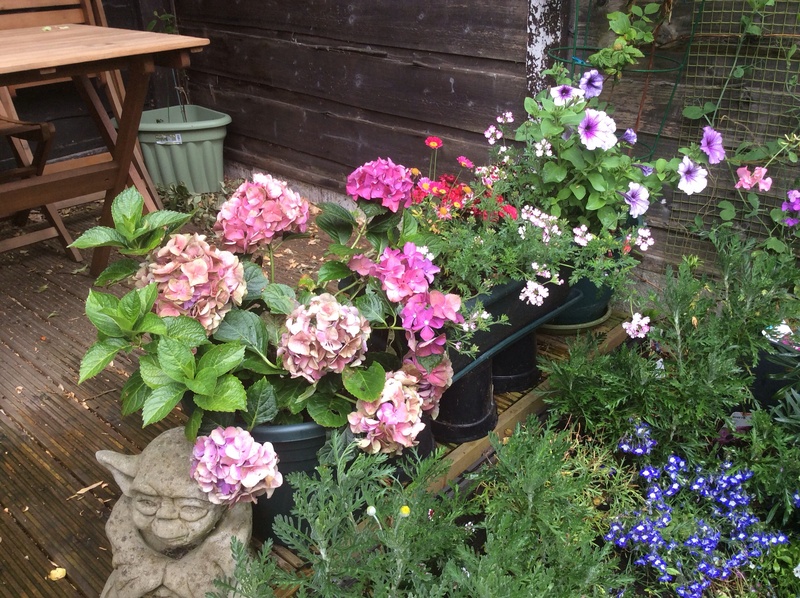 I’ve moved the pot to the bottom of the garden on the deck so we can can enjoy the flowers when we’re eating and relaxing. Not that we’ve had much chance to enjoy the flowers close up as it’s been pouring down today. There’s been such a lot to deal with this year but I am slowly working through things and I know I’ll get there. 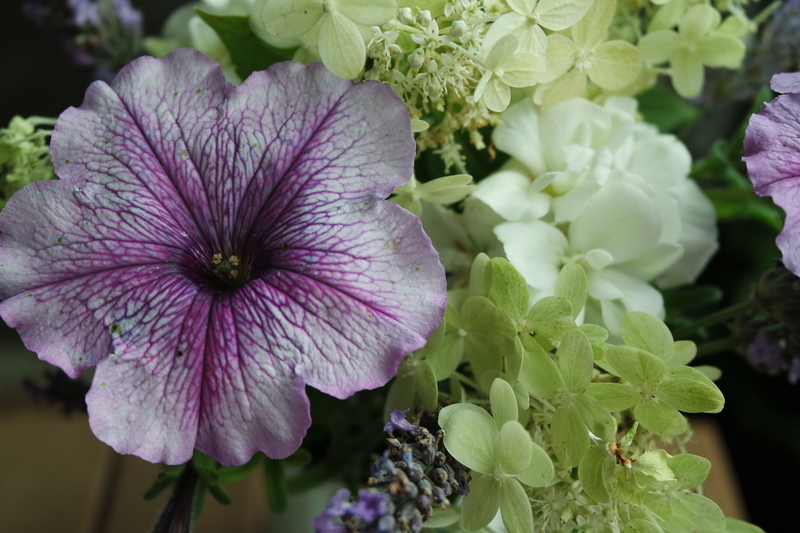 Next on the list is answering some emails/blog comments and then some flower dead-heading/weeding and planning good things for the weekend with my Chap. Do have a look at Rambling in the Garden where Cathy hosts the meme. 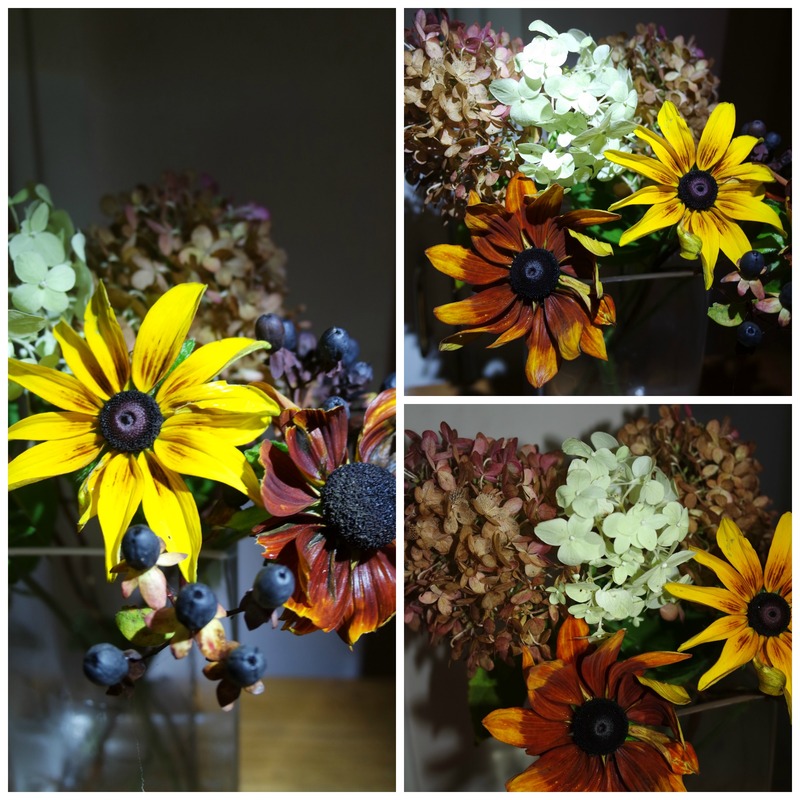 This week she’s gone rather artistic with Sunflowers. This has reminded me I need to visit Manchester Art Gallery to see how the ‘Lost Gardens of Manchester‘ exhibition is getting on – I was there in May and there will be plenty of new plants and flowers by now. Do you have plants that didn’t turn out how you expected? And life has a habit of doing that too – ho hum. 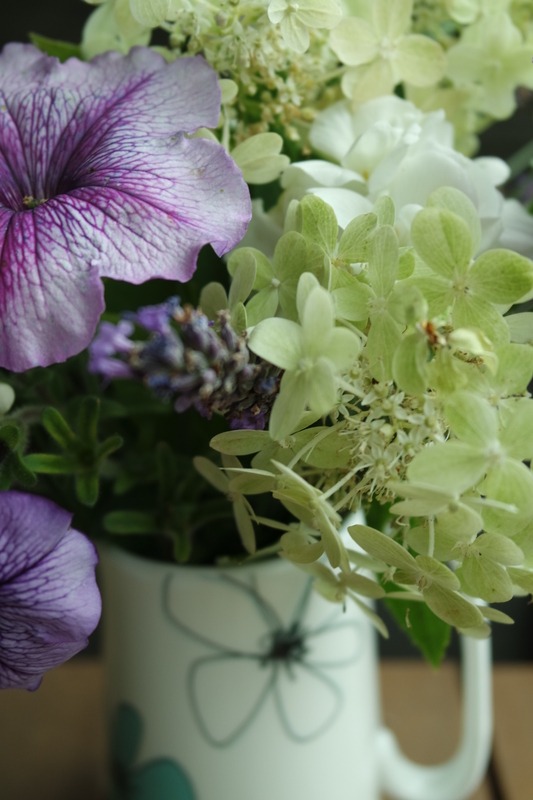 This entry was posted in Gardening, In a vase on Monday and tagged Art, dale carnegie, hydrangea, In a vase on Monday, Late, Manchester art gallery on July 13, 2015 by Bec - views from my garden bench.